Each director of the 1 For 2 Education Foundation credits their higher education for the opportunity they had in life and are determined to “pay-it-forward” in an innovative way. These successful entrepreneurs each had their lives transformed by their education. With the cost of higher education rising at a rate significantly higher than the overall rate of inflation, and the difficulty of obtaining scholarship funds, the directors recognized a need for exceptionally promising students to have access to scholarship funds to defray the cost of their post-secondary education. The inspiration for the “One For Two” concept is rooted in the naturally occurring phenomenon of duplication as a form of growth and regeneration. One can observe this phenomenon in DNA replication (PCR), cell division (mitosis), nuclear chain reaction (fission), and fractals (pattern replication). Likewise, assuming each participating scholar “pays-it-forward” at year 10, within 50 years each initial scholar would replicate 62 additional scholars. Through the generosity of the directors, it is the foundation’s goal to fund the first 60 scholarships that, using this phenomenon, would replicate into more than 120,000 scholarships over the next century. The vision of the One for Two Education Foundation is to transform post-secondary education in the United States. The Foundation’s mission is build a community of scholars who are dedicated to being life-long learners and are committed to “pay-it-forward” by supporting the education of two additional students. The 1 for 2 Education Foundation has revolutionized my life with its college tuition support, the community of scholars and the incredible resources it offers. We value higher education immensely and are committed to educate the future generations by an avalanche of scholars’ new ideas and contributions. I am thrilled to be a part of this community. By joining this foundation, you not only gain access to an incredible network of scholars and mentors, but a family that supports you and cheers you on throughout your endeavors. That community is priceless and everlasting. We the scholars are not just involved in a program to obtain financial aid. The Foundation opened a bright path for us to grow as well rounded persons. I know that in the future, our success will inspire other scholars to pursue their education. We are like a chain, attached together helping each other to achieve success in life. A famous proverb says ‘a nation’s treasure is it scholars’. My experience with the Foundation has taught me to treasure my scholarship and that of future generations. The foundation is governed by directors. 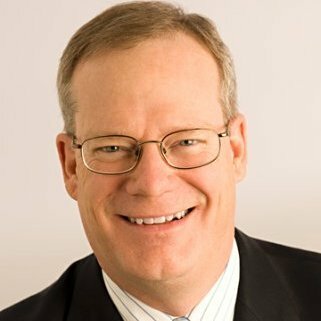 Richard S. Creager is a recognized diagnostics new product development (NPD) and business leader who has a passion for building high-performance global teams and using their expertise to deliver breakthrough products and build successful businesses. Richard has diverse experience developing new products, new technologies and new business models for diagnostic, laboratory services and B2B companies. He has developed new businesses that range from $25 million to more than $1 billion in annual sales. In addition, he managed large innovation teams and business units and has significant experience in developing market strategies, product and technology pipelines, portfolio management, licensing and development partnerships. Using his expertise in organizational design, talent management, product development, program management, and quality & design control systems, Richard works with companies to achieve the dexterity they require to get ahead of their competitors. 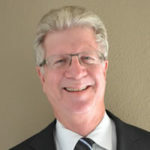 Dr. Creager is the former chief science officer and executive officer for Beckman Coulter. He holds B.S. and M.S. degrees in biology and earned his Ph.D. degree in Microbiology at the University of Pittsburgh School of Medicine. The Foundation is seeking highly motivated applicants of accredited U.S. four-year colleges and universities. Applicants seeking scholarships for U.S. graduate schools are welcome to apply, however, the first priority is given to undergraduate scholars. Prior to any award given, applicants will be required to send a copy of their acceptance letter. The Foundation considers the applicant’s high school academic record, leadership and community service activities, and any letters of recommendation. There are a minimum of two scholarships awarded per year. Applicants are not required to be a U.S. Citizen or permanent resident in order to be eligible for the scholarship. The Foundation assumes no responsibility or obligation to obtain immigration documents for the applicant nor is the Foundation liable for the tax consequences of any scholarship. No more applications will be accepted for the Fall 2019 school year. While receiving a scholarship from the Foundation, scholars are required to attend the Foundation’s annual gathering. During this time, you will have a chance to meet other scholars and directors. You will also be able to participate in personal development learning sessions. The 2019 Gathering will be held on July 26-29, in Michigan. Scholars need to be full-time students and maintain a 3.0 GPA and will be required to provide proof each semester. As of March 1, 2019, we are no longer accepting applications for the 2019 school year. Do I need to be accepted by an institution in order to apply? No, not at the time of application. However, applicants are required to send a copy of their acceptance letter before any award is given. Who is my tuition paid to? Tuition is paid directly to your institution. How do I contribute to the Foundation? Please reach out to us regarding more information here. The Foundation also accepts donations. Can I fulfill my pledge by paying for the education of my children? No. The intention of the foundation is to fund the education of unrelated persons. What is the commitment I am making? First foremost emphasis is on investing in future generations of scholars by supporting their academic and career goals and second, is by pledging to pay for the tuition of two persons, who are not related by blood, adoption, or marriage, during their lifetime. This commitment is to fund the then current cost of tuition at the same level of education as received from the Foundation. Applicants can expect to receive an email response within one week. We are currently not accepting any more applications. The One for Two Education Foundation is a 501(c)(3) organization, and all monetary donations are tax deductible to the fullest extent allowed by tax laws. Please check with your financial advisor if you have more questions.